This year we had advice from a number of Hopi farmers. 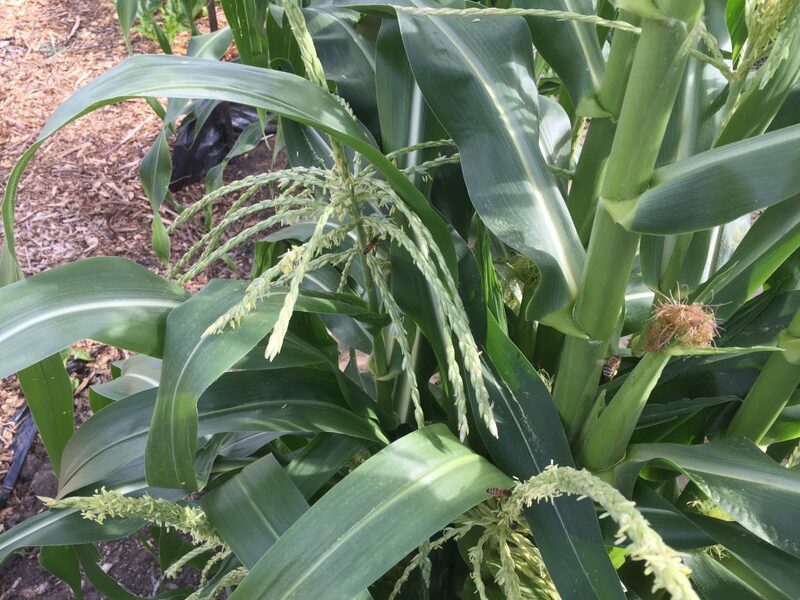 Taking their advice, along with favorable weather and excellent soil preparation, gave us an exceptional crop. On June 1st we planted 8 hills in 2 rows with seeds from Janice Day of Hopi. 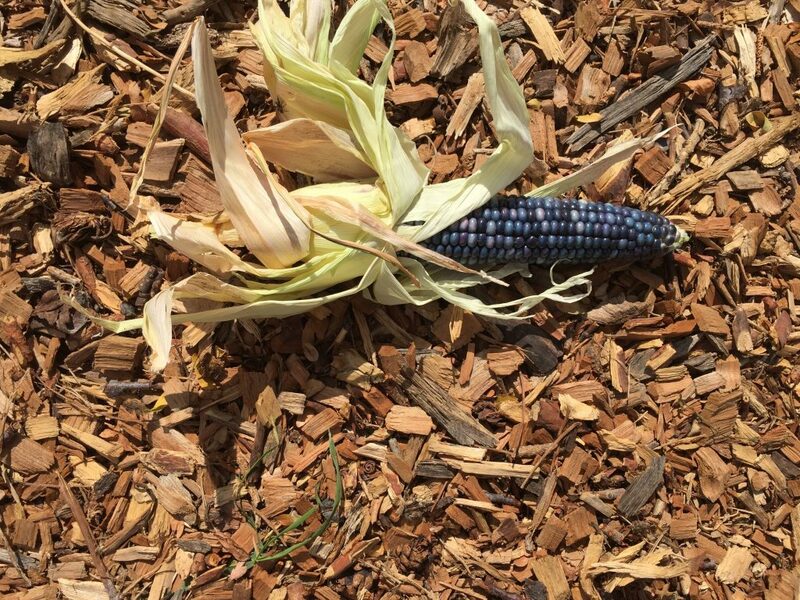 Marvin L., a member of the Native American Advisory group of Crow Canyon Archaeological Center, advised us that all hills must be planted with the same seed or the ears won’t color properly. …and by 4th of July the plants were “knee high”. While admiring them, we began to worry about the critters that destroyed our harvest last year. I ordered two owls, one that reflected the sun and blew in the wind and one that looked like a small owl. The idea was to do anything, within reason, to protect the crop. In mid July Jackie and I were at the Heard Museum in Phoenix. In their bookstore we met Lance P., a Hopi farmer, who told us how to keep critters away. He gave us two options, one more disgusting than the other. Of course, we chose the least obnoxious which is to sprinkle cat poo around the plants. Fortunately, Theresa, my garden partner, has a cat and kept us supplied. Jackie and Bob put up a fence with a gate to keep the critters out but to allow us in. We didn’t see any damage from mice, squirrels or raccoons as the season went on. After a wet early spring the weather turned hot and dry. We were warned by Donald D., from the Hopi Cultural Preservation Office, to not water, no matter how dry the plants looked. So we didn’t water. Donald was our original mentor and sent blessings for our project. 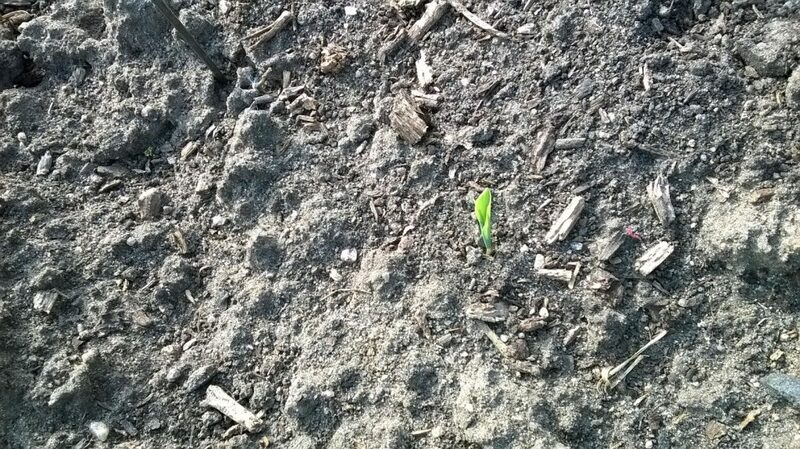 He also told us that the corn must be sung to and appreciates dancing in the patch. That never happened this year, so we may need volunteers to sing and dance next year. As August wore on, we watched the ears appear and grow. 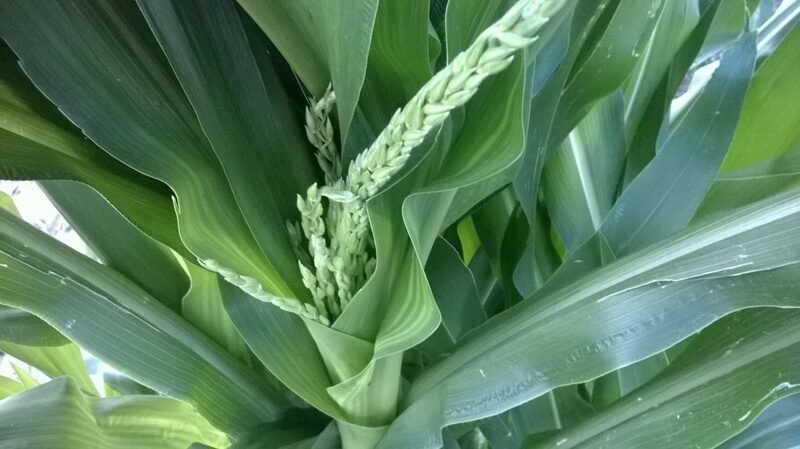 We could hardly wait to see if the blue color had developed in the kernels. We began picking mid September and before the first frost had all of the blue beauties picked and photographed. They’re perfect! We mailed an ear to each Hopi farmer and to our friend in Gallup to display with a turquoise bracelet that looks like a curved ear of blue corn. Some will go to our friend Tessie at Santa Clara Pueblo where she will grind it by hand to use for blessings. There was enough left to sell at the Rosedale Harvest sale and to give to friends for decorations. 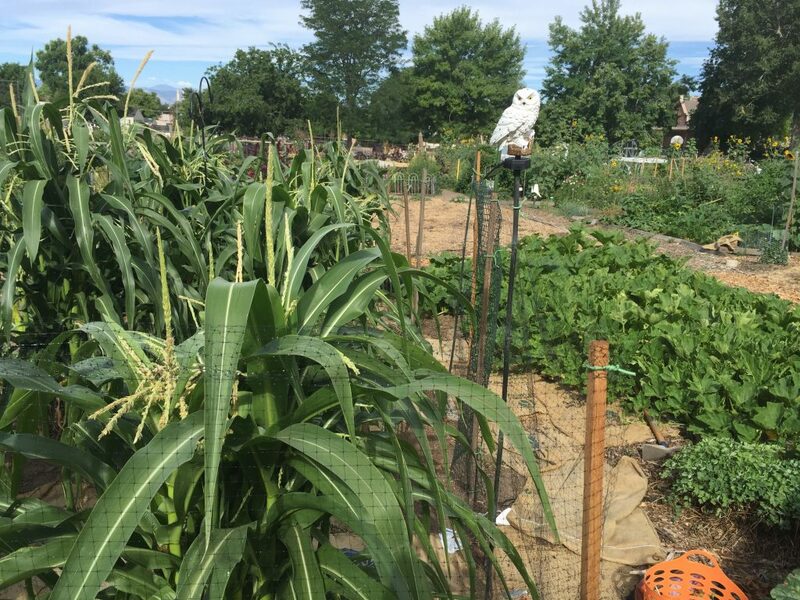 The Waldorf School students who garden at Rosedale learned about our project and one day left the garden holding ears of the blue corn, waving a corn stalk.